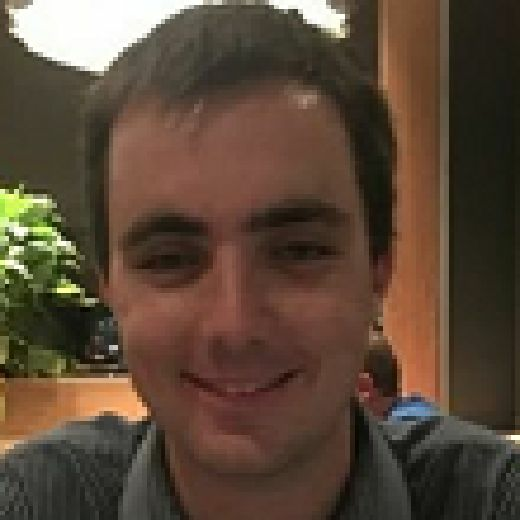 Chris Long’s beaming smile told you all you needed to know about how the previous 90 minutes had just unfolded, for both himself personally and also the Cobblers in general. Scorer of the winning goal in Northampton’s 2-1 triumph at Oxford United on Saturday, he was rightfully thrilled with his, and the team’s, afternoon’s work. After a bright start to his career at Sixfields, including two goals against Portsmouth in September, Long has had to bide his time over the past couple months, first for an opportunity and then for a goal. A hamstring injury plagued him for several weeks with manager Jimmy Floyd Hasselbaink keen to ensure he was 100 per cent fit before returning to the fold, and even when he made his comeback, the goals didn’t exactly flow. His frustration at the lack of clear opportunities being created was visible and understandable, but Long is not one to hide and, as a hard-worker and willing-runner, he finally got his just reward at Grenoble Road. And with so few chances coming his way, he decided to do it all himself. Dispossessing Ryan Ledson in the United half, he then skipped past Aaron Martin, leaving the substitute for dead, and drilled through goalkeeper Simon Eastwood for a fantastic solo strike. “To be honest, I thought the lad had only just came on and he wouldn’t be that warm so if I knocked it down the side there was no chance he’d catch me,” explained Long. “I did that and obviously it was a goal. “I’m confident with both feet to be honest. I’m good with my left and my right but I haven’t scored since I got injured and that was my fifth game so it was just good to get back on the goal trail. Last season was a frustrating one for Long. Sent on loan to Fleetwood Town, he started the campaign with three goals in five games but just two in the next 28, including one during a stop-start stint at Bolton Wanderers, left him wanting more. He created it himself and we are working hard to create more chances for him because we need to be better in that respect, but how he took his goal was very good. “Last season didn’t go to plan,” admitted the 22-year-old, who was also sent off twice last term. “I was on the bench a lot for Bolton and Fleetwood but it’s good to get my games in and I’m repaying the manager because he’s got a lot of faith in me. 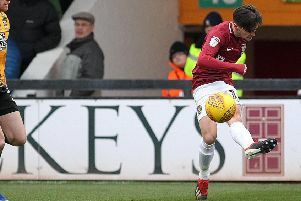 Long’s goal was the first of any kind by a Northampton striker since the same man netted twice in a 3-1 win over Portsmouth all the way back on September 12, some 13 games ago. And now his manager wants more. “He deserves that,” said Hasselbaink. “We’ve spoken about him before and he’s getting stronger and stronger. “We still believe he will become even stronger and he needed that goal. Not only was his well-taken goal important for personal confidence, it also came at a crucial time for the Cobblers who had just been pegged back by Wes Thomas’ fine finish. Ash Taylor had earlier scrambled in an 11th minute opener but with Town on the back foot after losing their lead, Long’s goal reversed the momentum once again and ultimately proved the winner. “It’s a big three points and a fantastic away win and we needed that,” he added. “The gaffer and Deano (Austin) told at half-time to stay compact and that’s what we worked on all last week leading up the game. And on the fans, Long continued: “Even walking out at the start of the game I thought they were great and they were fantastic throughout the game.